View Cart “Court Warrior Wild Cards Club Pack” has been added to your cart. Wild Cards is a pack of cards that can be earned in a variety of ways through training, competing and practicing. The cards are then used in matchplay at the end of the practice, camp or event in Wild Cards Challenge matches. The 50 card pack includes 10 different types of cards with advantages that can be used in a match. Comes with a guide to explain the many different ways that cards can be gained and how to use them to create excitement and greater commitment to your program. Wild Cards is a valuable addition to any junior program. 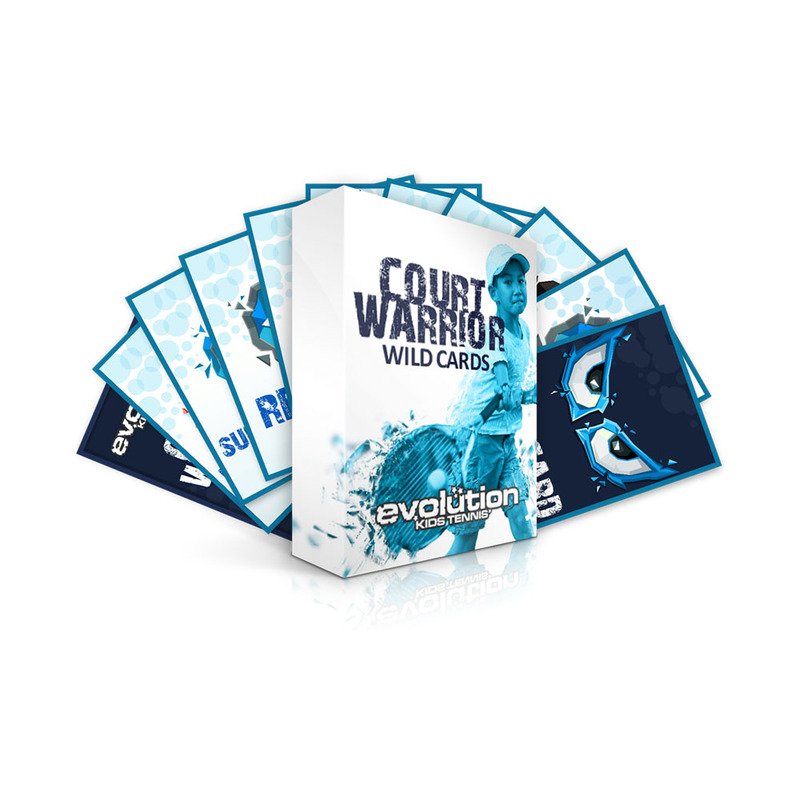 Based on the principles used in the design of many computer games and married with the elements of Court Warrior, Wild Cards is a pack of cards that can be earned in a variety of ways through training, competing and practicing. The cards are then used in matchplay at the end of the practice, camp or event in Wild Cards Challenge matches. Comes with a guide to explain the many different ways that cards can be gained and how to use them to create excitement and greater commitment to your program. The 50 card pack includes 10 different types of cards with advantages that can be used in a match. Some are more powerful than others but all help players to develop a greater understanding of the tactical elements of the game, while other players learn to deal with the adversity that these advantage create for their opponent.